Sealed events are often the most challenging. They are one of the most random ways to play magic and playing prerelease can be one of the most fun experiences you might have, especially now that Wizards of the Coast has decided to push for seeded packs. Now before I begin with my experience, I will vent a little about my frustration with these seeded packs. For Return to Ravnica, I thought they were a welcome experience because they guaranteed some mana fixing and with all the color combinations, it wasn’t too odd to splash into your chosen color. However, with the recent sets (especially this core set), I prefer the freedom you had making your own deck out of six packs. I feel like I forced myself into white because of the prerelease card. The seeded pack itself, wasn’t that “seeded” and I would have personally rather have had a fresh pack with a better chance of opening a planeswalker or a random rare. That said, the event was incredibly fun and I do understand Wizard’s push into taking complete randomness out of the events as this is geared as a fun way to grab casual players. The whole prerelease was centered around one of my favorite planeswalkers and I had nostalgia feels from playing a beast from one of my favorite blocks. In sealed, however, both can’t hold a deck together unless there is enough synergy. While Garruk did ensure my victory if I was ever able to cast him in time (7 mana felt impossible to get to), Soul of Zendikar merely felt like a nice fatty. Five mana is a huge investment to put out a 3/3. Most of my opponents had faster, more evasive creatures that didn’t care about a turn 7 overcosted Centaur Glade machine. Having a tablet or phone helped translating some of the text, but having to do this for several cards while you open packs is time consuming and eats away at myself creating my own deck. I like to approach deckbuilding in a holistic approach; I like to see what sort of options I have and then start dwindling my options from there. It was a George Michael song that said “Sometimes the clothes don’t make the man.” Similarly, rares and mythics don’t make the deck. 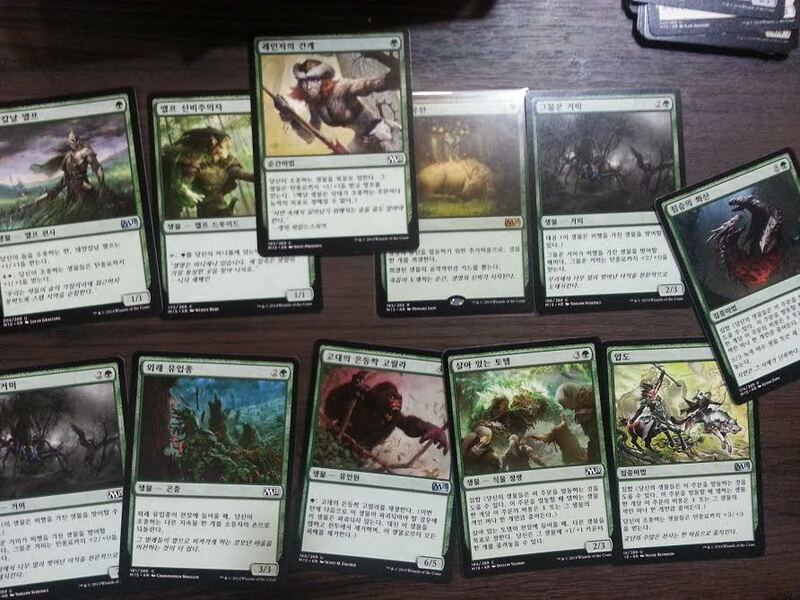 While green did offer Garruk and Soul of Zendikar, I do think having a deck with better removal would have helped. Blue didn’t have much, but it was sure better than a 7-drop murder. Had I followed those rules, I might have ended up with a better deck. Heck, I may not have included a seven drop overrun that did nothing for me in any of my matches (I thought it was instant speed). Regardless, the Timmy player in me was absolutely thrilled at throwing down Garruk, Apex Predator, even if it got countered. 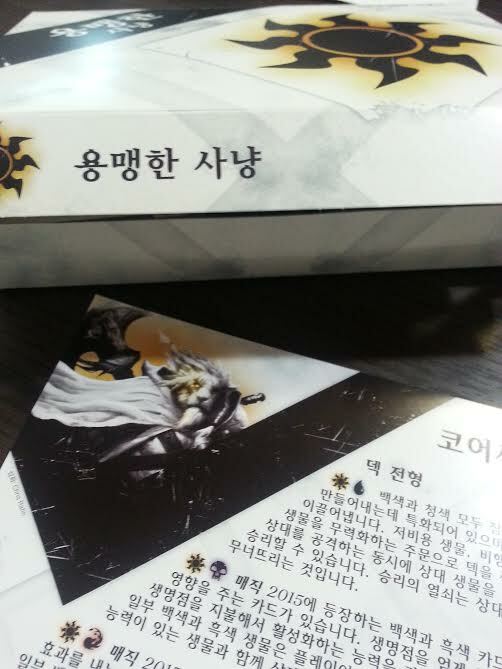 I felt the same way playing Dark Ascension when it was released in Korean. 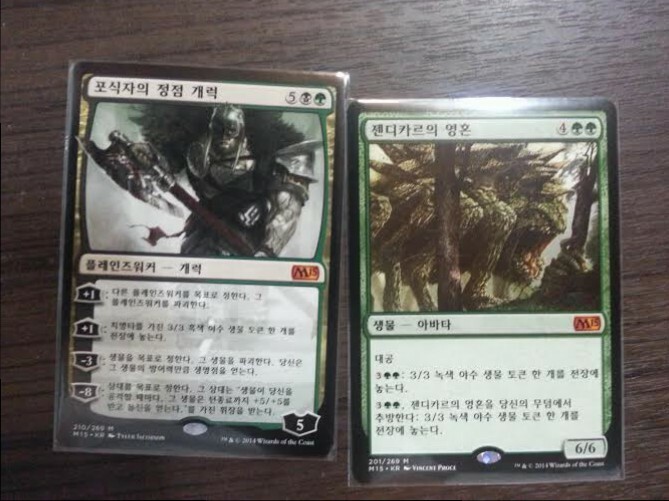 I was using a booklet to translate, but facing off against cards I didn’t know like Withengar the Unbound, I made lots of silly mistakes. 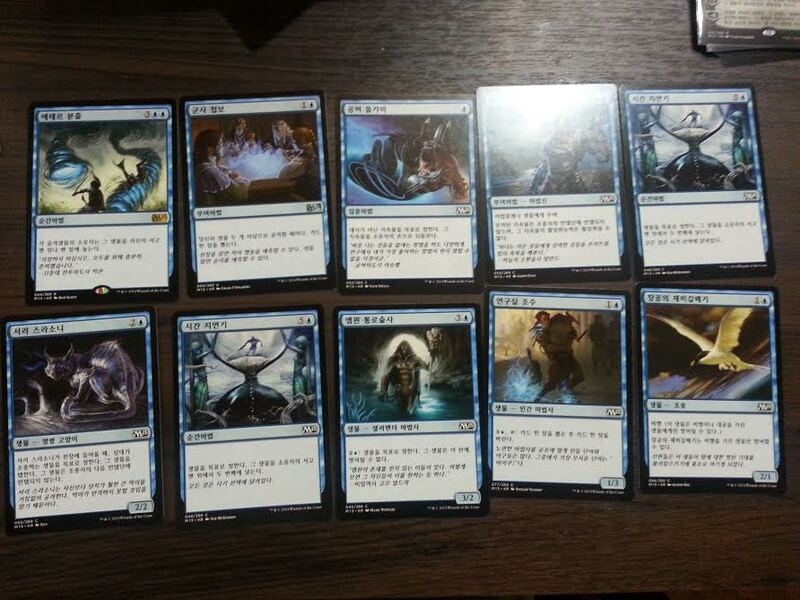 I also make it a point to study cards before pre-releases, using Draft Sims and Sealed Sims, if possible. For me, they’re one of the events I do best at, and I think it’s because I’m more prepared than a lot of people in the room.